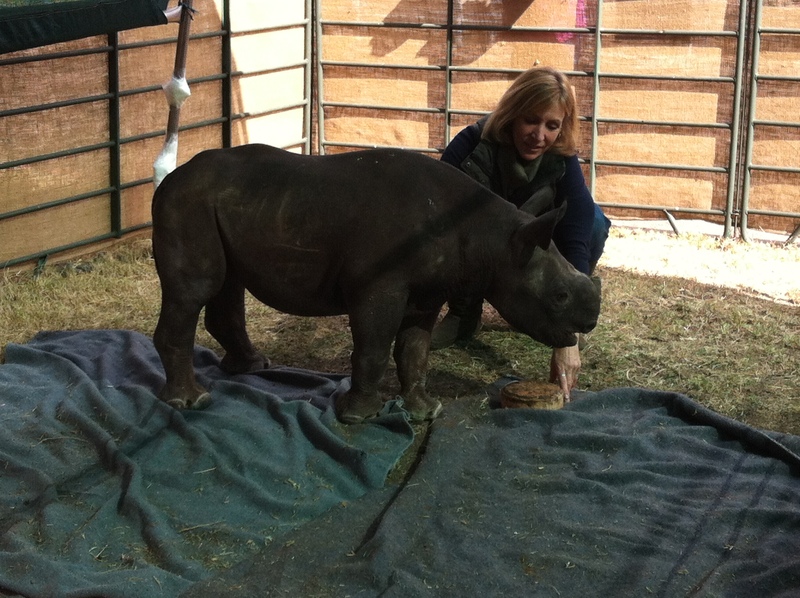 As I kid I grew up in a home filled with love….and animals. We had everything from ducks, to geese, to turkeys and chickens. Of the flock of four hens, my favourite was a little lady named Herby, who my uncle gave me when she was just a day old. Some of my favourite childhood memories have Herby in them. I remember the day Herby died as if it were yesterday, even though it was well over 30 years back. She was about five or six years old and one morning didn’t rush out to greet me like she usually did. I found her sitting inside her hock. I picked her up and snuggled into her and realised when she looked at me that she wasn’t well. I recall the ache in my heart as we said goodbye to each other. I never had chickens for many years after that. 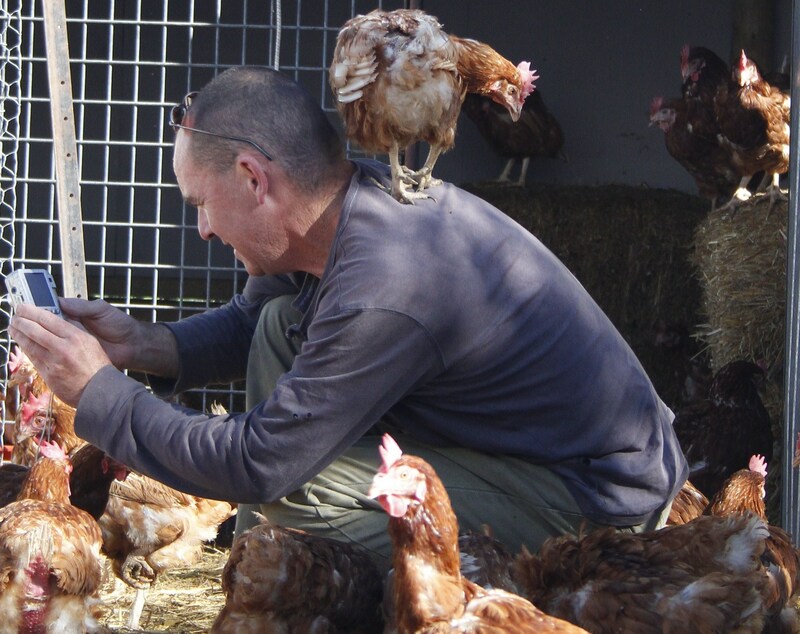 Recently, I accompanied a member of Chicken Rescue & Rehabilitation South Africa (Janine Nash) to a battery cull farm, and decided to take four hens home with me. While all my hens are special, as if almost immediately one hen stood out over the others. Despite everything she had endured at the hands of greedy humans who saw her life as nothing more than a chance at lining their own pockets, she was friendly and sweet. We spend lots of time together. She sits on my lap and listens to my marriage woes! She’s always there when I need a break from my cheeky tween! We share a very special relationship. Her name…Willow. I thought they would be far more aggressive considering what they’d been through having spent all of their lives in battery cages. They have a sweet nature and follow me everywhere. They’re also hungry…all the time! They make great pets. They can snuggle as good as any bunny, follow you as good as any dog, and lay on your lap and ‘pur’ as good as any cat. They always rush to meet me. At the same time – morning and late afternoon – they start ‘calling’ for mom. Their clucks get higher and more excitable as I open the gate to the area of garden they live in. Love, above everything, I think is the most important thing any ‘being’ needs. As Mother Theresa once said: “I have come to realise that the greatest disease and the greatest suffering is to be unwanted, unloved, uncared for, to be shunned by everybody, to be just nobody to no one.” With love, I think comes the other non-negotiable factors. A place to live – not just a place to stay. In other words, a place where you can be what mother nature intended you to be. A place you can spread your wings. A place you can rest your head. A proper home, in every sense of the word. And a permanent one. A good and varied diet, shelter from the sun and rain, interaction with your own species, and a sense of security and safety are all important. 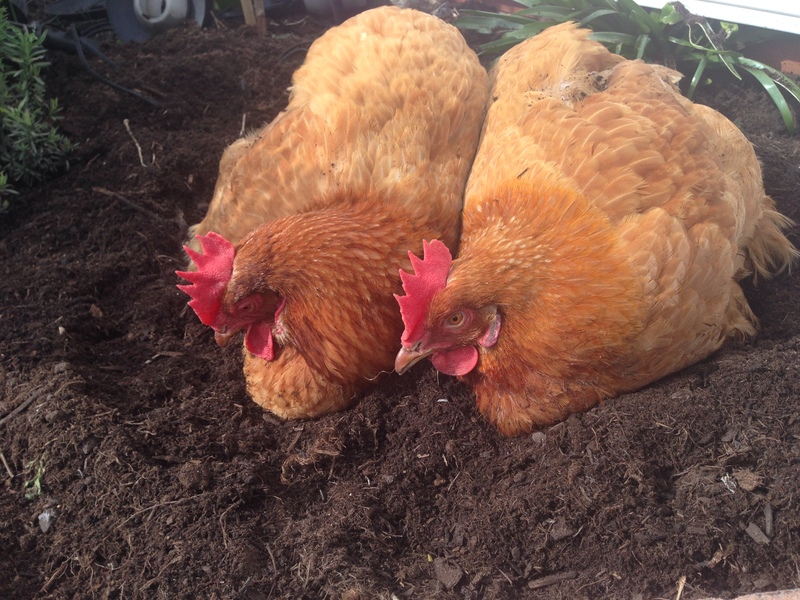 Chickens love digging so a piece of lawn where they can play is ideal. Also, they like to ‘nest’ – so a private place where they can lay their eggs is a must. They say sometimes you can find love in the strangest of places. The same can be true when it comes to who you love. 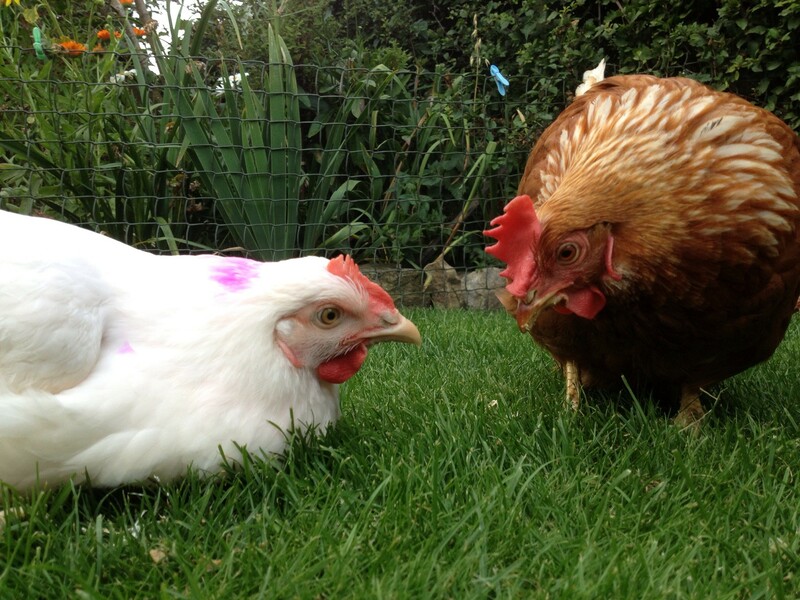 A chicken might not be seen as a ‘common pet’ but given the chance they make wonderful and loving companions. Hi all, my name is Mel Lazenby and I live in the UK near Cambridge, where I work in the university vet school. I live with my partner Darran, our cats Henry, and my hand reared kitty Daisy, x 6 ex battery hens -Olivia, Thelma, Sophie, Maddie beak, Nora and Weeble. X4 ex Battery Quail, itsy bitsy, tiny weeny, teensy weensy, and tiddly widdly. I’ve been vegetarian for thirty years, and two years ago took the leap of faith into becoming vegan, and havent looked back since. 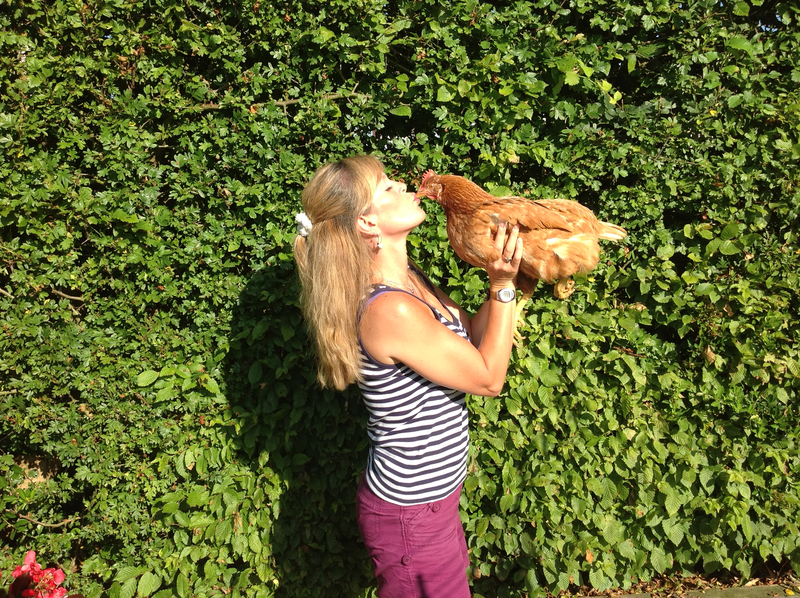 I’d had hens all my life as a child, but got back into hen keeping in 2007 and I’ve been involved in rescue since the end of the same year. I was finding it frustrating not being able to change anything for the better, and found myself being very vocal and angry, in person and on the internet, I’m much better at being proactive, than campaigning. My girls are my whole world and I’m very protective of them, I mainly have hens with disabilities and they have stunned me with their ability to grab life by the horns, despite their problems and some of their limitations, I’m totally and utterly convinced that they associate their main carer with their rescue and rehabilitation, especially the ones who’ve needed extra tlc and have lived in the house with us. I’ve truly bonded with some in particular. My partner often says, they hear the back door open when he’s home first, and they start getting excited, as they think it’s me who,provides play time and sweeties, he then says the disappointment is palpable when they realise it’s ‘only him’ he says they look gutted. They know the colour of their sweetie bowl as well, no other bowl has this affect. If I had to sum up their personalities to someone who has never had them before, its this; they are always so grateful, they are great fun, entertaining, naughty, mischievous, loyal and very very bright. The interaction you have with them is right up their with cats and dogs. They live every day as if it’s their last and I wish I could learn a bit of that for myself sometimes. I always feel that i owe these girls so much for the wrong which they have suffered in their cages, so we have some simple rules: they always come first. They have the best food I can buy. As much space as I can give them, and that has to be predator proof. They get treats and lots of special veg to peck at. I make their home as interesting as I can with Ramps and bales to stand on. Their Veterinary care is paramount from my brilliant avian vet. I try to keep them in small groups of best friends with equal disabilities. I keep them spotlessly clean. Garden play time every day and endless love and cuddles. My girls are kept in an aviary, so I think it’s important that they get to run around the garden every night, so every evening we spend the time in the garden together, to keep them safe. Hi my name is Bede Carmody. I have been involved in social justice campaigning since the beginning of 1994 after making a new year’s resolution to stop eating animals (I am now a vegan). 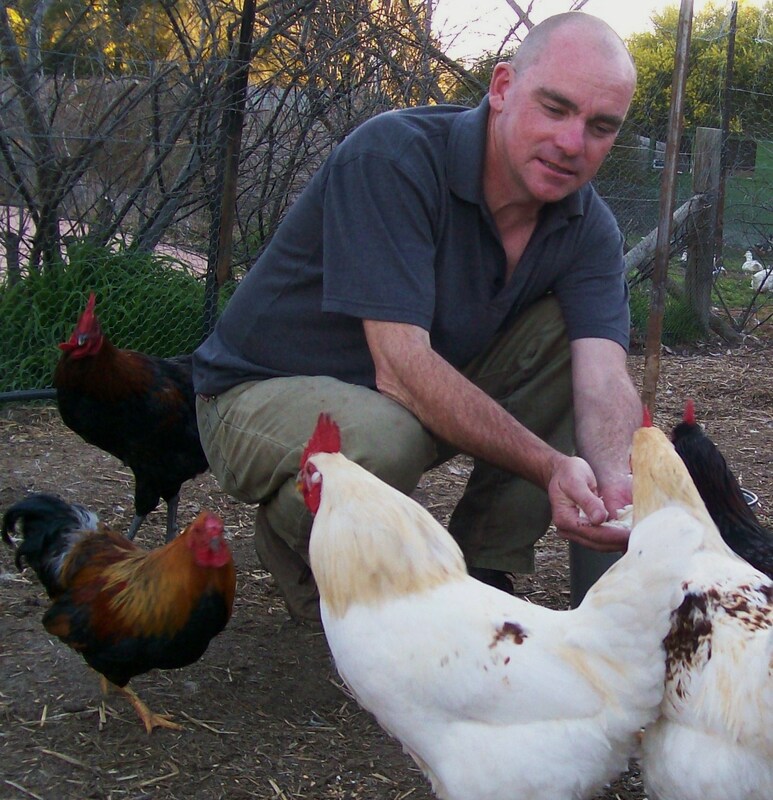 I left my comfortable city existence in Sydney to move to a small country village in 1999 and live hands-on with rescued and unwanted animals. 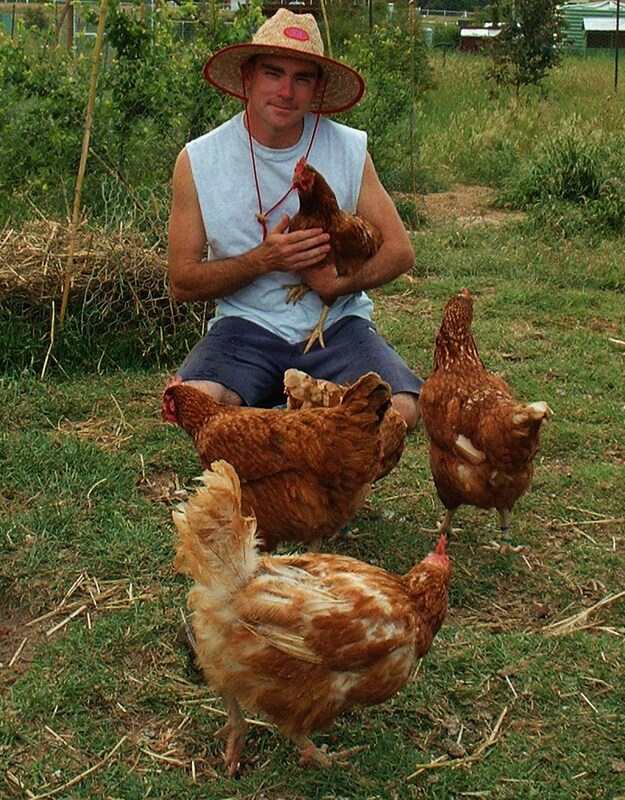 In 2001 I began establishing A Poultry Place animal sanctuary. My activism has evolved from something I did in my spare time into a full time career; having worked as a community organiser for a leading human rights organisation since 2003. Many of them have come from appalling factory farm conditions where they have been abused and mistreated by humans yet they do not hold any grudges and like being around me and other humans who come to visit. Chickens are as friendly as a cat or dog. 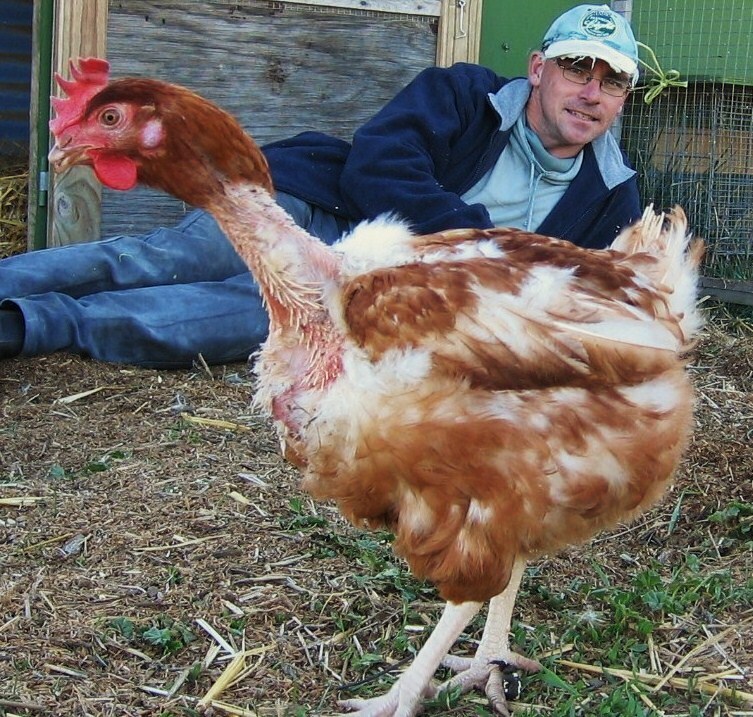 Most visitors to A Poultry Place are surprised when a hen or turkey approaches for a hug or a pat or to even climb into an empty lap. Because for most visitors this sort of behaviour is more expected from Fido the dog or Fluffy the cat – not a bird they call dinner. The girls at A Poultry Place can occasionally be annoying because they get under my feet and almost trip me over just as Fido the dog or Fluffy the cat can do. In some ways it’s as if they constantly want to thank me for giving them their freedom and a chance to enjoy a normal life. Studies have shown that chickens have cognitive abilities more advanced than cats, dogs and some primates yet they are treated appallingly badly and seen as food machines to produce eggs and meat for humans. 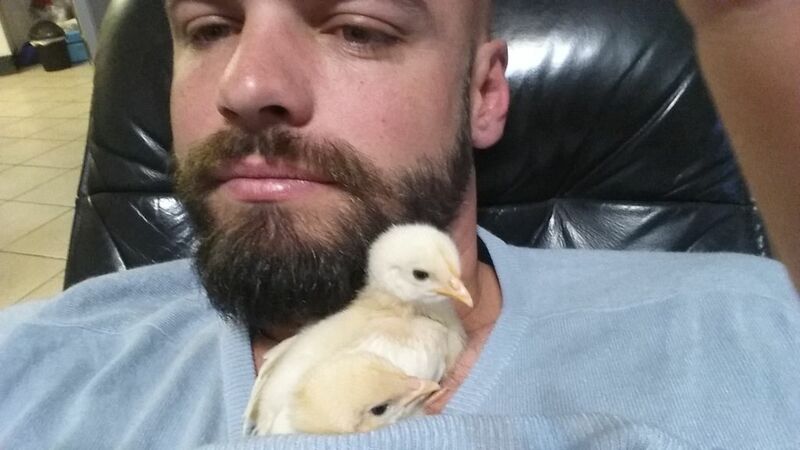 Why are they allowed to be treated so badly through practices such as de-beaking and the slaughter of millions of day-old male chicks, who are seen to be worthless because they do not lay eggs? Hi my name is Walton. I lived in Zambia for a time where we kept a few chickens. 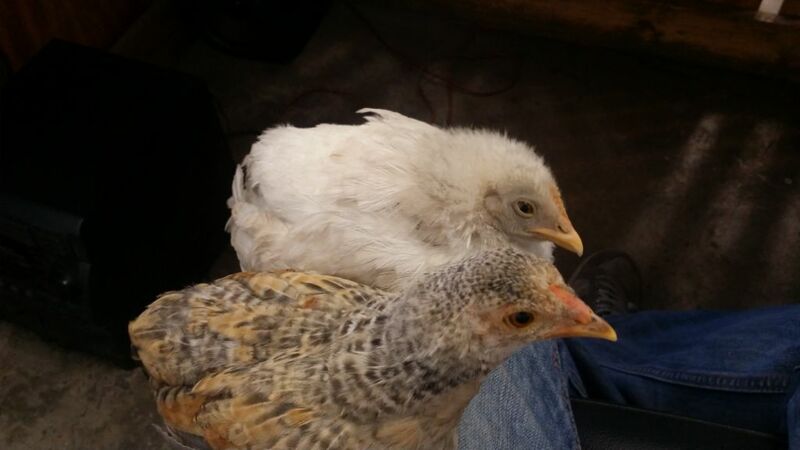 Originally we bought 2 chickens from our neighbours’, eventually those 2 were 30; no idea as to their breed, but my brother calls them “compost eagles”. 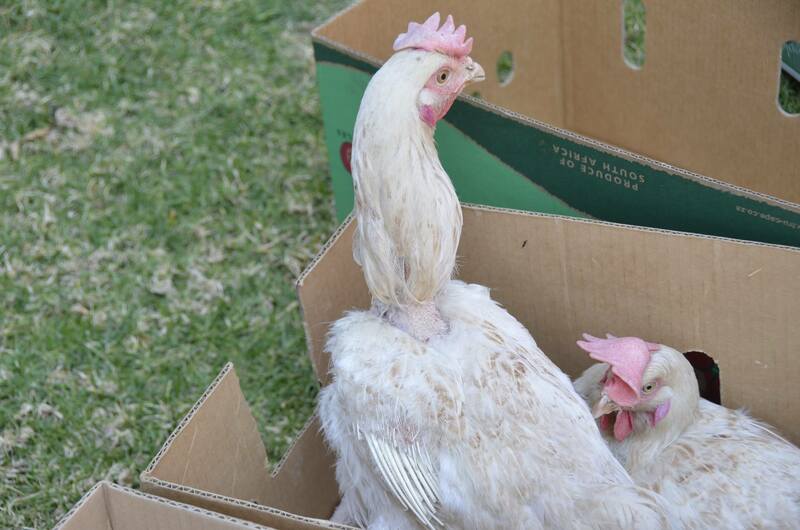 A few months ago at the Rand Easter show, they had a whole lot of day old chicks that were there for the kids to feed. Annie (my girlfriend) and I liberated 2 of them. I’ve since got a few more from Tembisa, Annie’s stables and Airport Pets. I free range the chickens as far as possible, but am wary of cats and my vegetable garden. They have food names, but there is no intention to eat them at all. How incredibly territorial they are. Introducing new birds into a flock isn’t fun. As far as pets go, in my opinion, they have more personality than dogs, are better behaved and are very interactive. Also, they are fun to watch as they are always running around, scratching, or doing something of interest. Dogs lay around and sleep, maybe dig up your garden. Whenever I get home they run towards me to see if I have brought a treat or a left over lunch home. They’re very food orientated, and particularly enjoy meat. They’re flock animals and need a friend. Have at least 2 birds, even 2 roosters if they’ve grown up together. They enjoy roosting. Something to perch in is a must, be it a broom, a knee or a branch. If you intend to get eggs, a cool safe place for laying is a must. They’ll lay anywhere if they must, but you can see they don’t enjoy it. Space is important. The more the better, but if they must be enclosed, work on 1 square meter per bird. Chickens, like humans enjoy a varied diet. 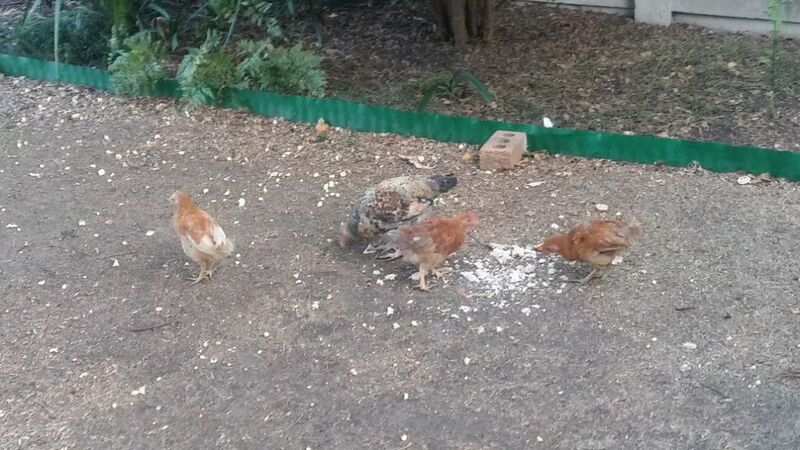 Always have fresh water and grits available, but my chickens particularly enjoy greens and table scraps like left over rice, braai meat and mielies. Just be wary of excessive sodium and yeast intake. Protect them from predators. Watch for dogs, cats and rats. This post is a slightly different format to the others, but that is the right of big sisters, to do as they please! 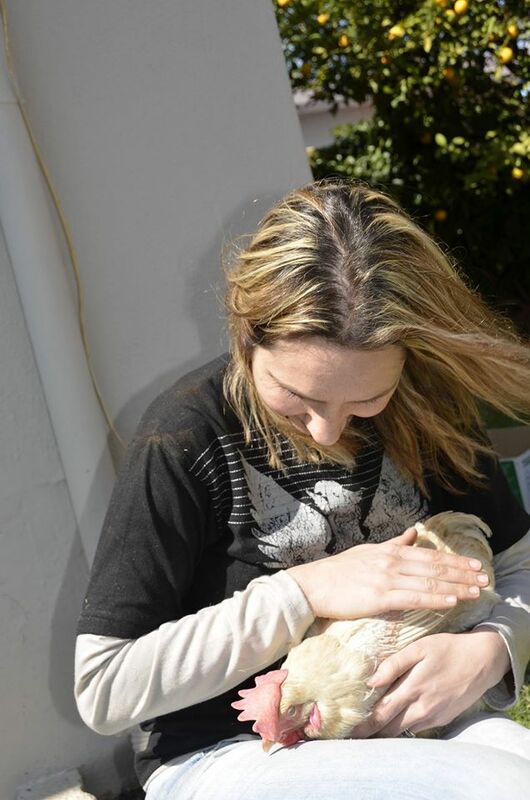 I am Candy, and I run chicken rescue and rehabilitation South Africa. Karen is my sister. I have learned so much from Karen over the years, and she has been an invaluable source of rehab and nursing knowledge for me. Karen always shares so generously with me, and I am so grateful for that. I am so touched by this post submitted by Karen. Its uber cool to have ones sister submit posts! Not that I’m complaining because this familial relationship has exposed me to the world of chickens and the privilege of some wonderful, funny, touching, humbling and sad insights. Driving back from visiting our eccentric dad, Candy suddenly declared ‘Sick chicken‘, pulled over, came to a grinding halt and before I could say ‘feathers’ had disappeared into a seething black mass of people and dust. Just as I was getting to the point of calling for back up or a search party (and realizing that eccentricity could be hereditary) Candy reappeared and pushed into my arms a pathetic, battered, bruised, weak, overheated, underfed almost featherless and what I thought, with horror, a nearly dead chicken. 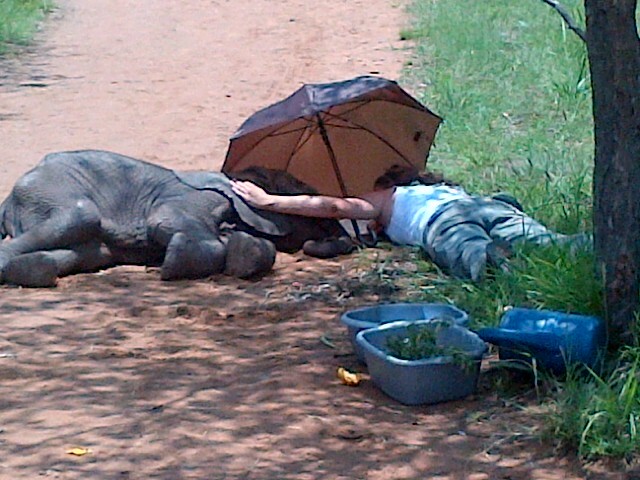 The poor thing was too weak to protest or care and simply gave up and settled against me. I could feel her little heart beating weakly, her breath shallow and labored. I felt a huge lump in my throat looking at her little abused body. 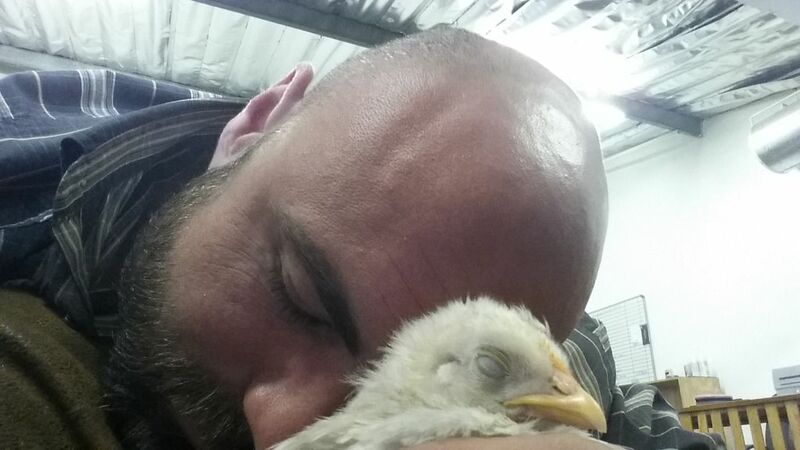 I didn’t think she’d make the 20 minute drive home and for that time my mind tumbled over the horrors that she’d been through in her short life……here in my arms was barely living proof of the appalling reality of the chicken industry that Candy had told me about. 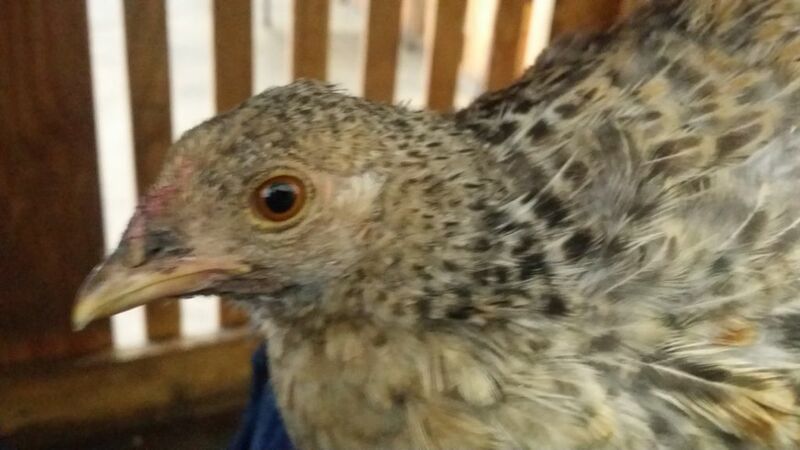 I never imagined that ‘Chicken Claire’ would survive, let alone thrive (testament to chicken and rescuer ! ) and earlier today, a month or two post rescue – she is a beautiful, proud and recovered chicken who rushes across the garden, sorting out the new pup, runs across to greet me on arrival, check out my intentions and ensure that I know my place in the flock. There have been so many wonderful and humbling experiences and interactions with Candy’s chickens but what I have learnt about chickens is this – the poultry industry is brutal, chickens are tough and far more intelligent than one would ever imagine with personalities that range from the chicken CEO headmistress type to the sweet, gentle shy ladylike type, and a whole range in between. They know their names and respond when called and recognize different people. Hello my name is Angela and I live in Essex England. This is our story. Almost 2 years ago I opened a YouTube video on Facebook. It was footage of a knackery showing the murder of horses for cheap meat. I had never seen anything like it before. I had never seen the look of knowing and terror on an animals face before. I wanted to vomit and my hands shook. I became vegan. The months following my awakening to the horror of animals used for food were dark. I felt helpless, overwhelmed, angry, ashamed and very depressed. Rescuing my girls was part of my recovery. How many chickens do you have? and what are their names? My girls are called Dora and Gretchen. They had a sister called Blossom but she was mauled by a suburban fox and we lost her. 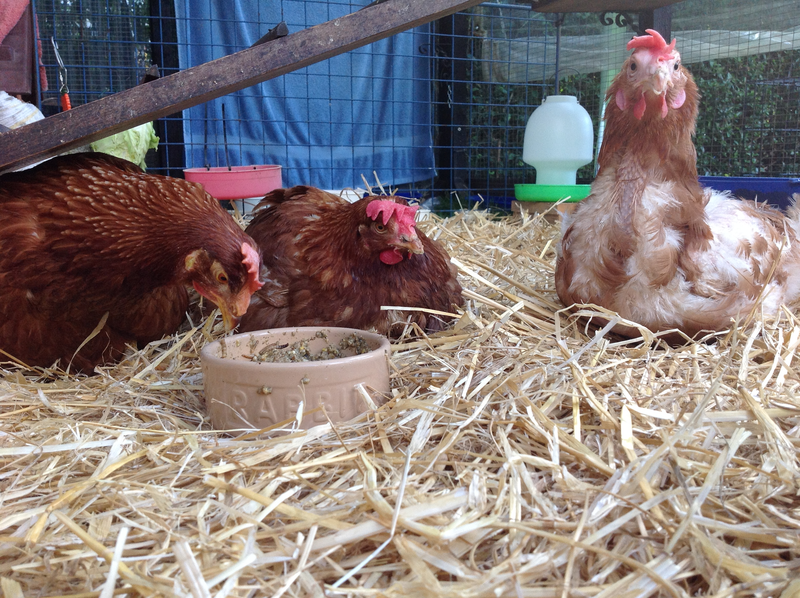 I adopted them from the British hen welfare society. The day we collected them was deeply moving. All these motley, raggedy and confused hens chirruping quietly in this big barn as kind hands picked them up and took them home. It was a joy to watch my girls discover the life they should always have been leading. They loved it all!! Grass, sunshine, dust baths and running for the sheer hell of it. Their personalities grew! They loved music and I enjoyed introducing them to a variety of treats. 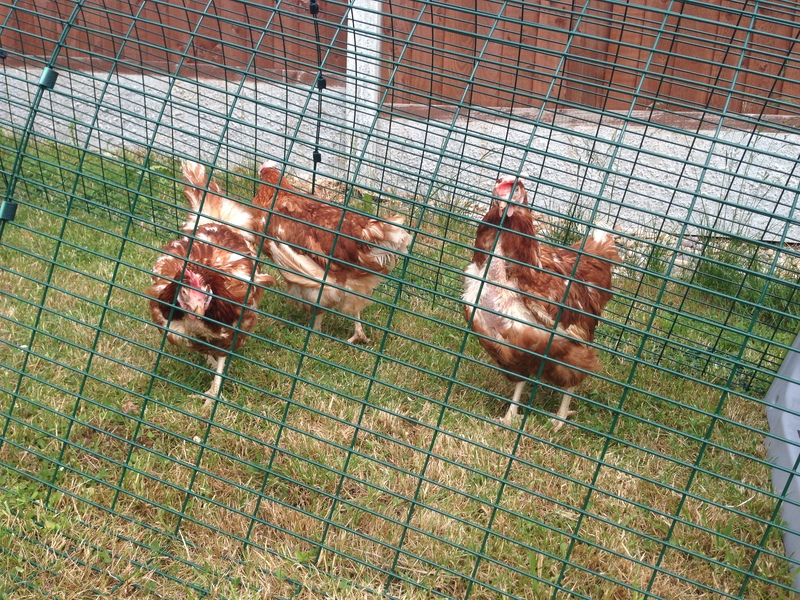 I allowed my girls to free range when I was home. Early one winters morning I heard a terrified commotion and sprinted down the stairs to be confronted with a fox shaking Blossom in his mouth. I screamed at the fox to drop her but it was too late. We learnt a painful lesson and I had a huge fox-proof run built for Gretchen and Dora. It extends the width of the garden and is sheltered by trees. I hang out with Dora and Gretchen. 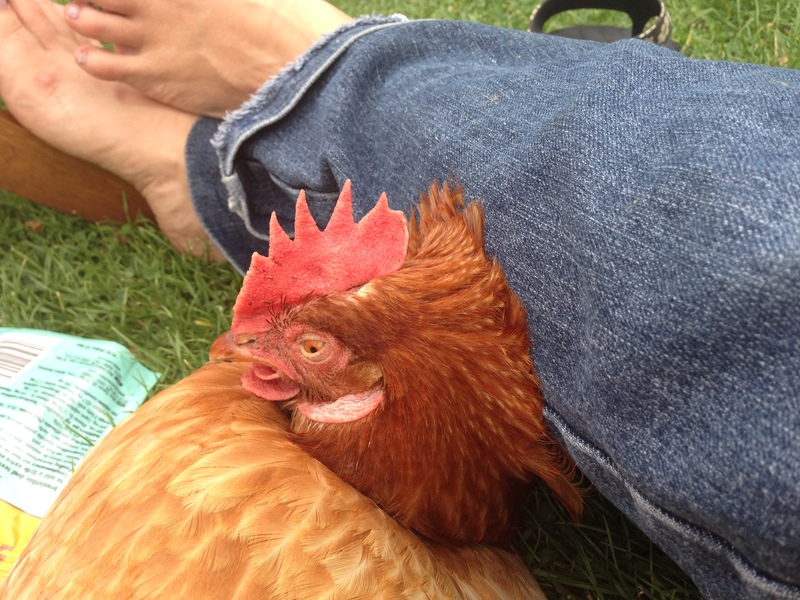 We love lolling on the grass, Gretchen perched on my tummy snoozing and Dora flopped against my leg. Dora, the explorer is the adventurous and very greedy one! 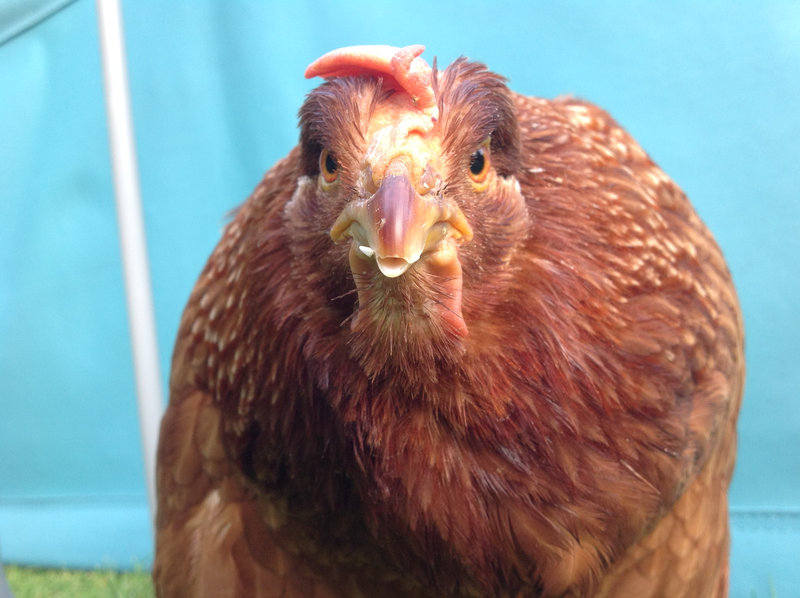 Gretchen is broody and loves scratching and pecking my body… it is a wonderful chicken massage treatment. They recognise me and are always pleased to see me. We have our lazy indulgent garden routines. 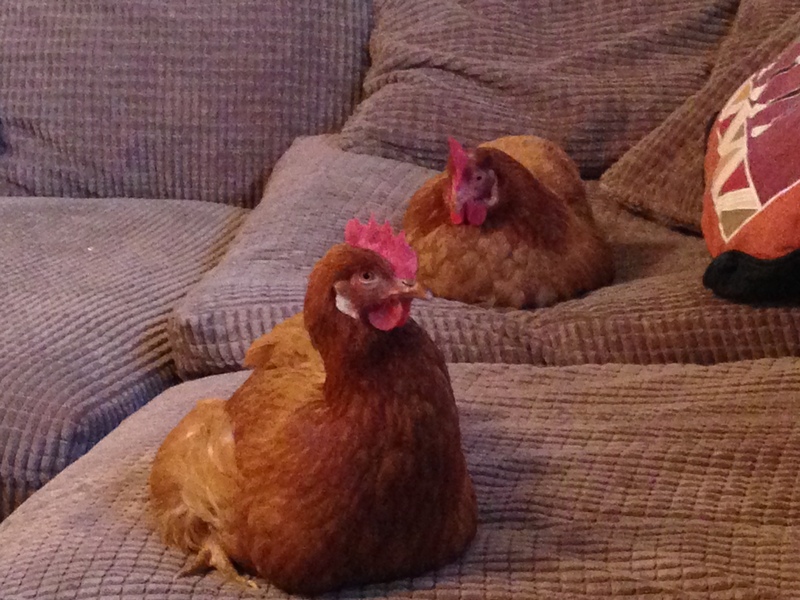 When the weather is grim the girls join me on the sofa for a spot of TV. These hens have changed my life and the way I see chickens. Chickens deserve to be recognised as the unique individuals they are. They need light, space, freedom, affection and food… Everything that you would expect for your dog or cat. They are not nuggets, breasts, wings or drumsticks. They are not body parts, a flavour or an ingredient but inquisitive, amusing, intelligent, characterful beings. 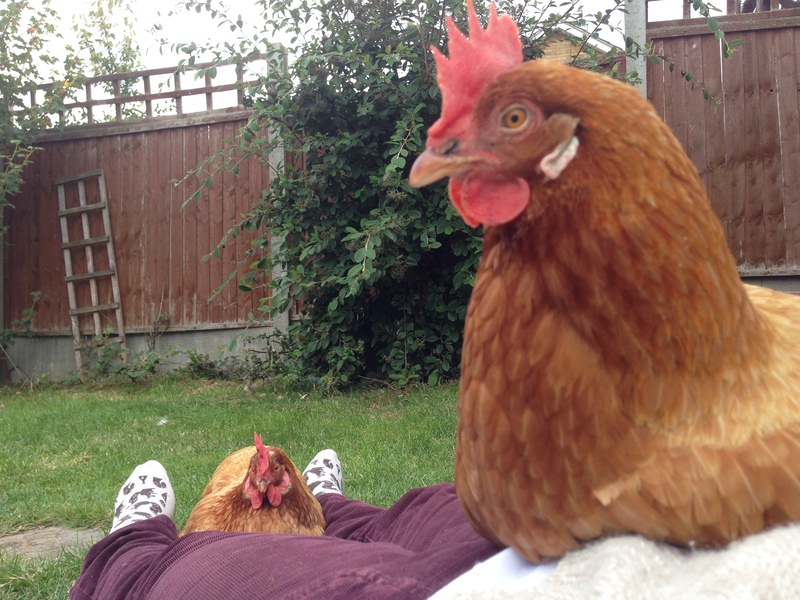 When I have a bad day I hang out with my hens and am at peace with the world. I could watch them all day long. I am a cat person who fell in love with chickens! !